I often get emails from people asking me where to go and what to do when visiting the beautiful Southern Highlands so I thought that I would put together a guide of where to go, what to do, where to stay/eat/drink. First and most important (and probably what I am BEST at)? Shopping of course! I’ve tried to pick out just some of my favourite shops that I love to visit and that I always recommend that people check out when they are here. This place is like walking into a Nancy Meyers Movie Set and is such a wonderful shopping experience. It is a MUST see. MUST MUST SEE. Some gorgeous homewares and furniture to be found here as well as gardening, kitchenware. This is a great place to go for a present. A must see. Visit the studio of Natalie Miller and Harriet Goodall. You can check out there Facebook here. This has just opened and is a HUGE variety of presents, gifts, homewares and an excellent range of kids presents. You’ll arrive looking for something and come out with so much more! You can check out their website here and Facebook here. Anna & Ursula are just about some of the coolest, loveliest birds going around in the Highlands and over the many, many (MANY) times I have been there I have seen some fabulous homewares and fashion come in and usually out home with me. The store is an Art & Design store and has some really different stuff in there. The always fabulous Down to the Woods stuff as well as smaller lesser known designers from around Australia and the world. I think this is my favourite place to stop in for presents, something for home or even just a hot chocolate and coffee with the girls. You can check out their website and Facebook page. I can’t believe it took us over 3 years to get to this place and visit. This beautiful bookstore is nestled in amongst a winery AND a fabulous restaurant…could it combine any more of life’s pleasures in one spot? There are some amazing old & rare books here as well as all the news ones too. It has an especially good children’s section. 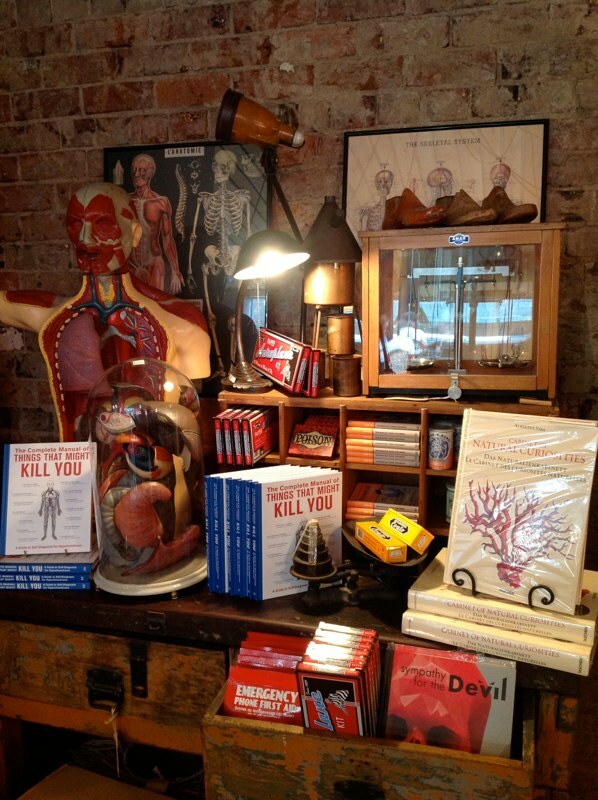 Come for a wine taste, stay for lunch and finish with a wander around the bookstore…I think you can even stay here. HEAVEN! I remember the first time we drove through Bowral I stopped to take a snap of the name of this place to send it to a friend called Jane. This place has been constant through the years as a place to stop in for inspiration or purchases. You can get fancier antiques as well as an amazing selection of vintage clothing in the shop front at the front on Bong Bong Street (I got our kitchen island bench in there and THAT turquoise wing back). It’s out the back that the real action happens in the marketplace. A huge warehouse keeps in lots of smaller stalls that hold a selection of antiques, vintage and sometimes rubbish collections. I’ve bought clothes, chairs, tables out the back here – it’s worth a look in every now and then just to see what’s new (because they are priced well the stock moves quickly). My old favourite Robertson Vintage (which is now the Jumble Store) sells out of here – they have more mid century stuff and I have got some real pearlers in here (those aqua chairs and coffee table). They have just opened a coffee shop and garden/plant section as well so you can make a trip of it! They occasionally hold bush auctions too out the back for a chance to bid on containers of stuff just like the stallholders. Check out their website, blog and Facebook page. If you need to get someone a present who has ALL OF THE THINGS then this is the place to go! 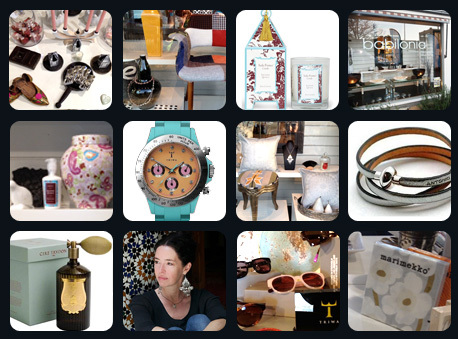 Such a fabulous, eclectic range of stuff from homewares (prints, cushions, rugs, furniture) to amazing strange objects, fun cards, fabulous clothing, jewellery, candles, books…you name it! I love coming in here just for a look around and some inspiration. 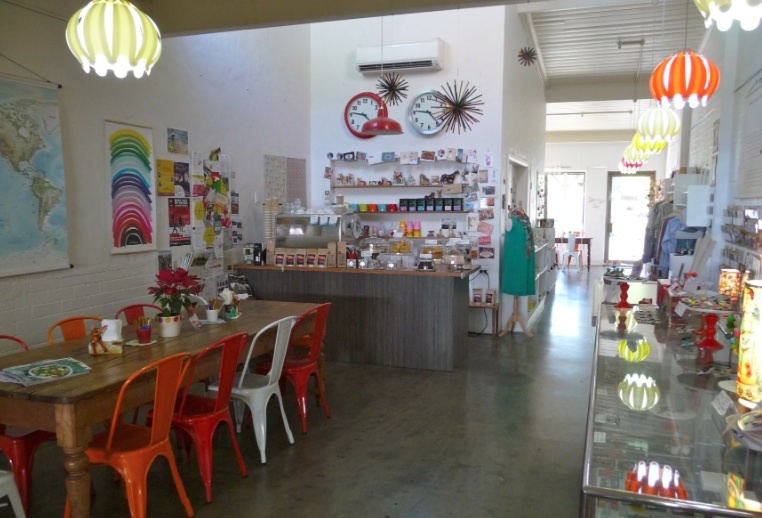 The shop is styled in a fun way – everyone and everything in it is a bit mad (no wonder I like it as much as I do). There are a collection of 3 shops all in a row filled with some pretty special shopping. Fashion, homewares and shoes etc you would struggle to not find a fabulous jumper or pair of boots in these places. Even the shops are a pleasure to be in – cute cottages that are warm and inviting when it’s cold outside. You can find out about Babilonia on their website and Facebook page. You can find out about Cloth & General on their website and Facebook page. You can find out about Osborn Reed on their Facebook page. If you want to know what a 7 year old girls dream shop would be. THIS is it! Actually, Harper loves it too. Actually, so do I! 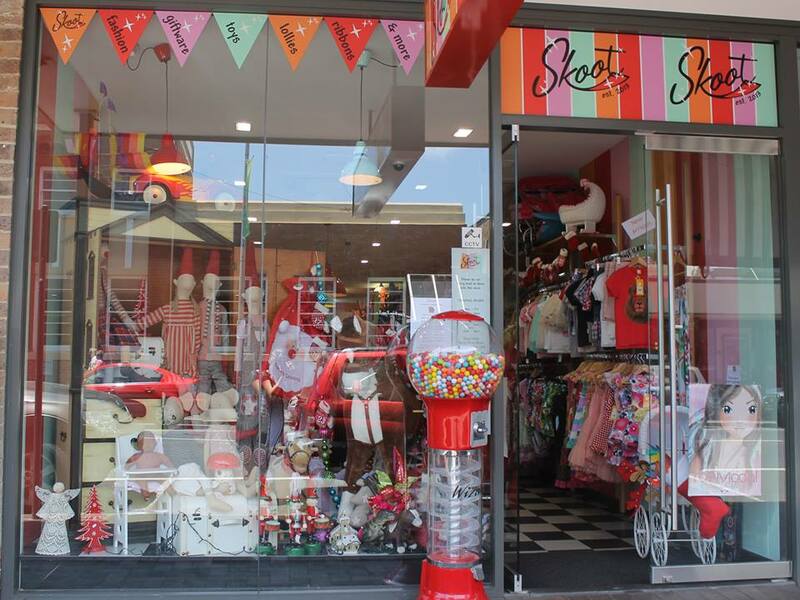 Filled to the BRIM with cool clothes (they stock some nice European clothes as well as Rock your baby/Kid), bags, gifts for birthday presents, books, lollies, ribbons, jewellery, gumboots, pencil cases, lunch boxes, tights for ballet….you name something that a kid will like and it’s here! Well worth a stop in for a bribe if you happen to be dragging your family through all the other shops. This place is at times, is my spiritual home. You can get ALL OF THE THINGS here and at a reasonable price too. 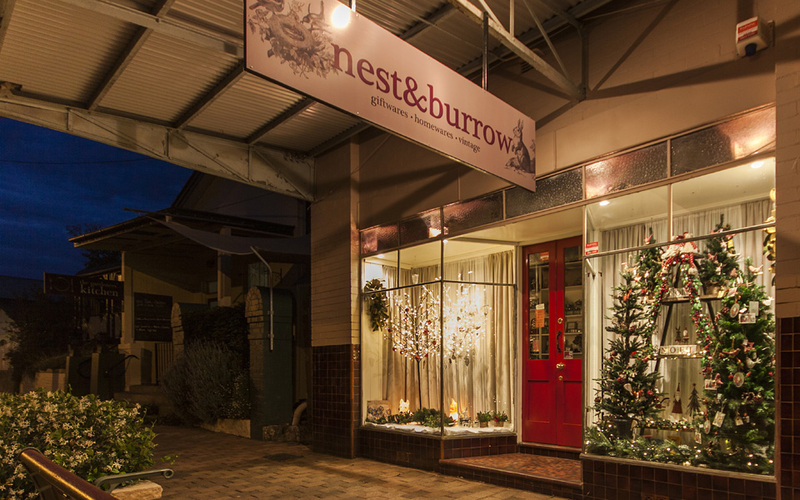 The Mittagong store is filled with more furniture but in Bowral you can grab cushions, napkins, mugs, kitchen ware, home wares, cushions, lamps, rugs, candles, cards…you name it! Come Christmas time you will be clutching your pearls at the sheer amount of stuff you can get. 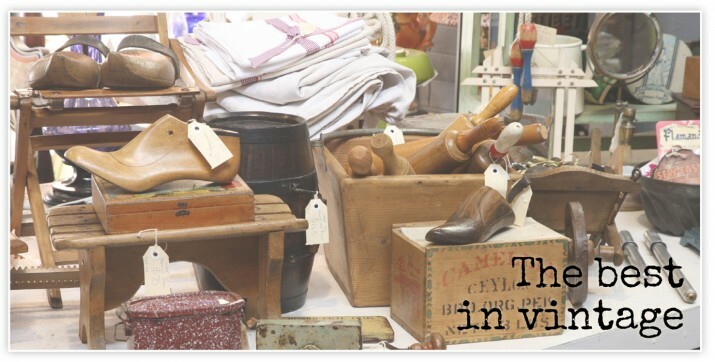 Well worth a look if you are in Bowral, I guarantee you will leave with something. I only discovered this little pearl late last year when my Mum was visiting Bundanoon a lot. I did a whole lot of Christmas shopping here (beats going into a shopping mall any day) and picked up all kinds of homewares, christmas decorations and jewellery. There are endless amounts packed into this quaint little store and Jacki and her husband provide such great service it’s like popping over to a friends place. You can check out their website, Facebook page and Blog here. Now I’m sure I have missed some…if I have I will be sure to add them in. I love being able to support shop owners who are passionate about what they do, and when they do it well it should be shouted from the nearest roof top. I feel so passionately about the Southern Highlands. The beauty of it, the creativity of the people who live in it, the produce that comes out of it and I can’t wait to share some more in this series with you. Expect to see where to stay, where to eat and what to do in the future. Have you visited our beautiful Highlands? Got any shopping suggestions you’d like to add in? Agree with all suggestions. Perhaps add Little Steps for very cool baby stuff and kids clothes with wonderful service from Rowena. That’s great! Hopefully I’ll have some good/accomodation stuff done too by the time you get here. Gorgeous Beth I must go for a weekend just to visit these shops ,thank you! You should…up and back in a day from Sydney no worries with a lovely lunch somewhere too! Thank you so much for the plug Beth! Everyone knows Bowral, but so few people have heard of Bundanoon! Your support, as well as Sue’s encouragement really make a HUGE difference. x – Jacki, Nest & Burrow. You’re welcome Jacki – doing a great job! I’m so so glad you introduced me to this beautiful part of the world. Just love it. Can’t wait to have you back here! There are bargains to be had there! Nailed it! Little Steps for those of us with littler ones and a coffee and dirty great gourmet pie from Flour Water Salt to boot. Those pies and sauso rolls are the BUSINESS! I absolutely loved my oh too short visit. If I had known about those shops I would have done my best to stay longer. Just have to come back again. The Cheese Factory (hope that’s the right name) at Robertson was a treasure trove. Had we not been travelling there would have been lots more goodies to eat coming home with us. As it was we bought some cheeses, to die for. It is a beautiful part of the world. I am looking forward to checking it out more thoroughly. A perfect excuse for you to come back soon Lisa! 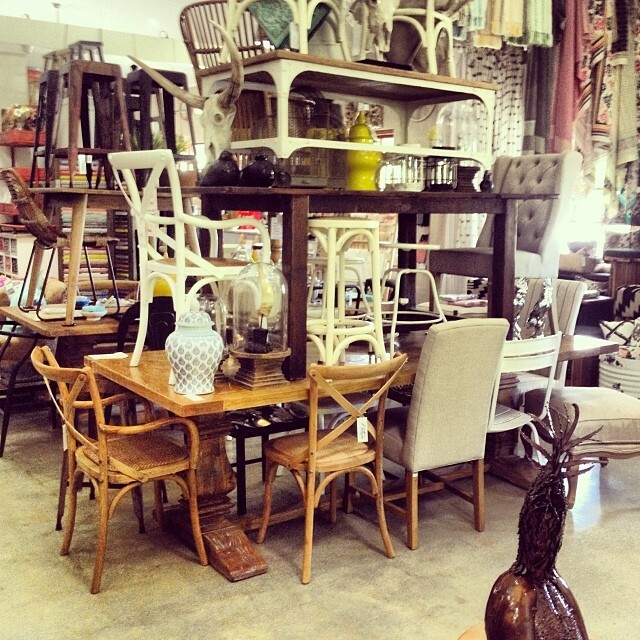 Love the large Dining room table at Barbara’s storehouse! I miss visiting the Southern Highlands. Scones with Jam and Cream at Berrima used to be a favourite Sunday destination A beautiful part of NSW. Thank you for sharing all those wonderful stores with us. My shopping days are well and truly over (more downsizing rather than gathering these days) but I can still enjoy all you have to show us. Thanks Mimsie…you would love it here at the moment with the cooler weather and autumn colours everywhere! After sharing tea for two and sticky date puddling (and perhaps a lavender scone with lemon curd) my 11 daughter advised me that if you see something you like at Dirty Jane’s you just have to buy it, because it won’t be there next time. Sage advice my darling! Wise words indeed Justine. I will use this as my new mantra! Barbara’s, Dirty Janes & Three Wise Monkey’s are the first stores I visit as soon as I come home to visit. Can’t wait to be back in July for 2 months! They are great stores – I always stick my head in when I am there too. Thanks Beth, great guide. Few places I have been & loved and a few I would love to try. Such a beautiful spot for you and your family. It sure is Lou – gorgeous part of the world. AH yes…you know I have never been? I know! Gosh like I needed another reason to visit your part of the world! Never been to the Southern Highlands, a travesty as I’m sure we would get on famously. It’s such a treat to live in a vibrant community or area like that, our little patch is getting there and I’m hoping to support and encourage it to grow as much as possible, perhaps by featuring some local businesses on ye ol’ blog. It is a beautiful part of the world…I DEMAND you come and visit us! You will LOVE it Son! I’ve never been to the Southern Highlands but I feel like I need to visit now! The shopping over here in this little red dirt town is so bland, your community looks so warm, inviting and alive. Time to start harassing the husband. Yes, definitely a trip away for the weekend is in order! this is a great suggestion.. i love the list and the information.. thank you for sharing..